More than 5 million teeth are knocked out in the United States every year. If you find yourself or your child in this situation, don’t panic. With the proper steps taken the tooth can be saved and as good as new in a few hours. 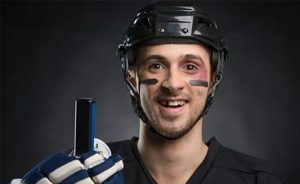 The first step you should take if your tooth is knocked-out is to retrieve the tooth by the crown, the part that is exposed above the gums in the mouth. Try not to touch any attached tissue that is normally below the gums. Rinse the tooth if necessary, but do not use soap, scrub, or dry the tooth. If possible try to put the tooth back in the socket, but never force it. If the tooth won’t rest comfortably in the socket then placing the tooth between your cheek and gums is the next best option. Another option is to place the tooth in a glass of milk. It is important that the tooth stays moist, although water is not a good option. No matter the case it is important to see your dentist at Dental365 as soon as possible. Teeth that have been knocked out have a higher chance of being saved if a dentist can be seen within the hour. The nature of the injury, the length of time from injury to treatment, and how your tooth was cared for after the injury all affect the long-term health of the tooth. The friendly dentists at Dental365 are ready to help you or your loved one with any injury such as a knocked-out tooth. Dental365 has extended hours and accepts emergency walk-in appointments at all of their convenient locations. Call 844-365-DENTAL for more information.